All homes currently listed for sale in the zip code 90017 as of 04/18/2019 are shown below. You can change the search criteria at any time by pressing the 'Change Search' button below. 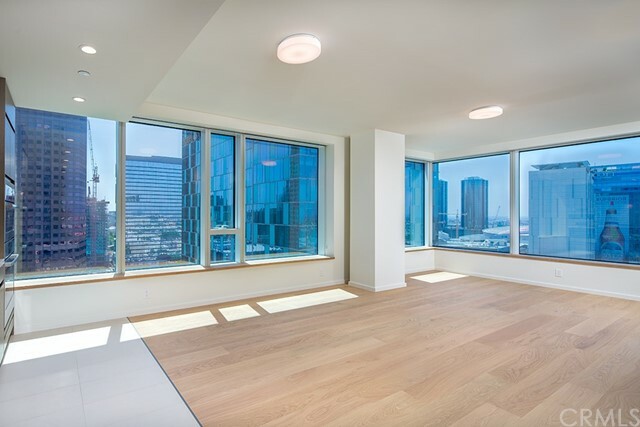 "The Best Deal in Downtown, BRAND NEW Top floor premium unit with HIGH Ceiling, 2 bed/2 bath NorthEast corner unit on the Penthouse/42nd floor of Tower II at Metropolis, two blocks from L.A. Live and STAPLES Center in Downtown Los Angeles. This beautiful unit is surrounded by towering window walls capturing far-reaching, multi-directional views of the city skyline and surrounding hillsides. Two bedrooms include a gracious master suite with walk-in closet and spa-like bath. Curated, contemporary details include Caesarstone countertops, custom wood cabinetry and Michele & Bosch appliances in the gourmet kitchen, as well as Nest Learning Thermostats, and 6 wide oak flooring. Residents of Metropolis enjoy a host of private amenities, including 24/7 lobby attendant, concierge service, residence clubhouse, resort-style pool, sky garden, fitness and yoga studio, billiard, game and screening rooms, children's playground, putting green and dog park. *Photos are not of exact unit"
"Breathtaking 1100 Wilshire LIVE/WORK loft impresses as you step into a voluminous space w/ soaring 18' ceilings, wall-to-wall and floor to ceiling glass walls opening to a unique 500 +/- sq. ft. balcony with panoramic city and hillside views. Imagine entertaining in this light-filled contemporary home featuring sleek kitchen design open to dining and living areas, industrial staircase leading to a private 2nd story master suite w/ walk-in closet and luxury bath w/ separate tub & shower. A bedroom, full bath and walk-in closet completes the 1st level. Extend your living space to adjacent sun-drenched amenities deck with infinity pool. elevated spa, fire pit, BBQ grills, patio for private parties and 270 degree views! 1100 Wilshire offers a beautiful lobby w/ 24 hr. front desk concierge, state-of-the-art gym, conference room, media center and is centrally located in City Center West's financial district, shopping and entertainment. 2 reserved parking spaces on 7th floor are included." "Ultimate living at its best in the Metropolis DTLA! Brand new luxury 2 bed/2 bath high-rise corner unit with fantastic panoramic views in every room. Brand new and modern appliances and fixtures, hardwood floors, spacious and open floor plan. Building luxury amenities rival 5-star resorts: luxurious sky deck w/ heated pool, spa, private cabana, BBQ area, clubhouse, steam room, gym, movie theater, game room, billiard room, conference room, business center, storage, 2-car side-by-side parking, and more!" "Corner two-bedroom in coveted Metropolis Tower 2 with panoramic city and sunrise views to the Northeast. Residence features split-bedrooms, gracious entry and open corner great room. The kitchen is fully outfitted in Miele appliances with a spacious island featuring waterfall Caesarstone countertops. The master suite includes a large walk-in-closet and bathroom outfitted with dual sinks and oversized tub. Oak hardwood flooring and floor-to-ceiling windows throughout the home. Elevated owner-only amenities include over ~41,000 sq. ft. of indoor and outdoor amenities including a 75' heated outdoor pool, dog park, clubhouse, fitness center with indoor/outdoor yoga room, screening room, business center, children's playroom and more. Studio, one- and two-bedroom condominiums range from ~480 sq. ft. to ~ 1,720 sq. ft. and are priced from the $500,000s to $2,000,000+. Images of are similar model home." "Only 7 two-bedrooms remain in Metropolis Tower 1! This high-floor Northwest corner residence features panoramic views to the Hollywood Hills and Century City with the Hollywood sign, Griffith Observatory and even ocean views. Split bedrooms on opposite ends of this gracious layout plus corner Great Room provides ideal living. The kitchen and a den both include endless western sunset views. The kitchen is fully outfitted in Bosch appliances including a wine refrigerator. A gracious entry, multiple closets and hardwood flooring complete this home. Elevated owner-only amenities include a full-floor of indoor and outdoor amenities including a heated outdoor pool, dog park, clubhouse, fitness center with indoor/outdoor flow, screening room, business center and more. Full-service building with VIP access to adjacent Hotel Indigo. Studio, one- and two-bedroom condominiums range from ~480 sq. ft. to ~ 1,720 sq. ft. and are priced from the $500,000s to $2,000,000+. Images are of model home." "Amazing views of North East skyline view contrasting with view west. This 2 Bedroom, 2 bath plus Den unit at Metropolis Tower 1, offers you luxury DTLA living. Beautiful Golden Oak floors throughout living and bedrooms, top of the line appliances including Dishwasher, Washer, and Dryer by Boesch, and large refrigerator by Thermador. Unit comes with 2 parking spaces. Guest Parking available on premise. This is a complete turnkey ready-to-move-in condo. HOA includes the use of its 43,000 ft of exclusive resort-style amenities on the 6th floor including Pool, Spa, Cabanas, Dog park, BBQ Grill area, indoor and outdoor lounge, Catering kitchen, Screening and business room, showers, sauna, bathrooms, fully equipped Techno Gym, Yoga and Spinning room. Storage included! Fully secured, 24/7 Doorman. Steps to Staple Center, shops and restaurants. Also available to lease at $6500/mth - furnished and $5500/mth- unfurnished and for purchase at $1,450,000." "Spacious 2+2 luxury condo located in Metropolis in downtown LA. 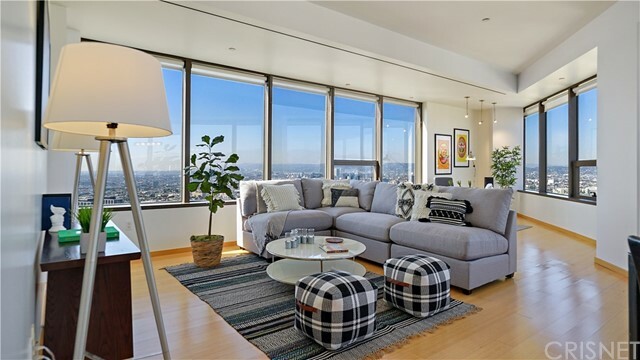 Each one of these condos inspire with stunning view that overlooking entire downtown Los Angeles. Contemporary architecture and state of the art appliances offers luxury living that you have come to expect. Over 40000 Sq ft. of indoor and outdoor space featuring a fitness enter, movie theater, yoga studio, resort style pool area, garden, business center, 24 hrs attended lobby, and a lot more! This 2bd/2ba corner unit located on 21st floor with panoramic views of Hollywood Sign and sunset view of the city. Unit comes high end Bosch appliances, built-in refrigerator, hardwood floor, washer/dryer in unit, 2 assigned parking spaces, and a storage unit. conveniently located next to everything that's new and happening in downtown LA." "This Modern 2 Beds + Den and 2.5 Baths corner unit with incredible panoramic views of city, landmark and mountains; Southwest Corner. The building/community, Metropolis is located in the most desirable area of Downtown Los Angeles. Metropolis is an affluent address with the exhilaration and convenience of countless city luxuries. Metropolis life is filled with the beauty, style and elegance that reflects your personal accomplishments. Everything you need has already been considered. Dramatic lobby, Business Center with Conference Room, Luxurious Sky Deck with pool, spa, outdoor showers, private cabanas, function room, lounges, billiards & card game rooms, BBQ stands, Dog run, Picnic area, State of the art Fitness Center for cardio and strength training, exercise/Yoga studio, Modern architecture with concrete steel and glass construction, On-site security and surveillance, Controlled access 24/7, Concierge service 24/7, Extensive INDIGO Hotel offers the ultimate in convenience." "Spectacular contemporary 2BD/2BA condominium located in a desirable downtown neighborhood! This unit offers privacy with an unobstructed 270 degree panoramic views of the city, Hollywood hills & ocean. This impressive open floor plan of 1,600 sqft offers gorgeous hardwood flooring, high ceilings, chic lighting and large windows that offer plenty of light. Open kitchen features all modern designs with European cabinetry, stainless steel appliances, and an island for extra storage and sitting space. This luxurious condo has great space for entertaining at any time of the day. The master bedroom features a large walk-in closet complete with your own master bath suite that offers double sinks, soak-in tub with awesome views and a spacious stand-in shower. Second bedroom also features gorgeous views and large closet. The complex is impressive in itself which offers a 24hr front desk security/concierge, fitness center, a media room, and the swimming pool area alone is enough to make you feel like you are at a 5 star resort. Ultra close proximity to LA Live, Staple Center, freeways and much much more! This exquisite high rise condominium is truly an entertainer's dream to fully enjoy the amazing city life that DTLA has to offer!" "Panoramic skyline views of DTLA. Spacious 2 bedrooms formal entry and separate family room-office. Beautiful hardwood floors throughout in impeccable condition with designer gourmet kitchen. Located directly across the street from Whole Foods and CVS Pharmacy. Two individual parking spaces in secure garage. Fitness Center, movie theater and large entertainment room located off of main lobby." "Brand New 2017 Built. Most Luxurious Condominium Built last 10 years! 37 floor!!! Best conner unit, Incredible panormic city view. featuring three residential towers, the boutique Hotel Indigo and expansive retail space in heart of Downtown Los Angeles. 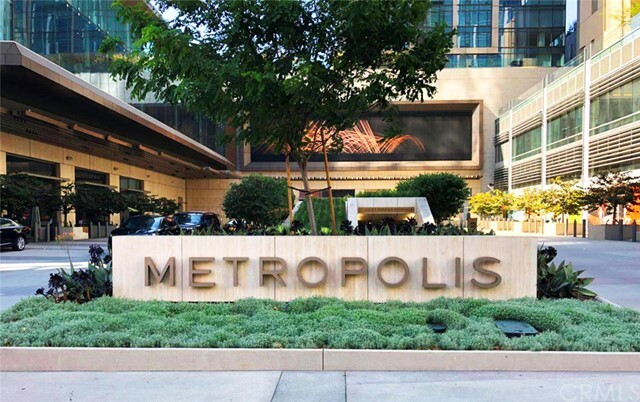 The building/community, Metropolis is located in the most desirable area of Downtown Los Angeles. Metropolis is an affluent address with the exhilaration and convenience of countless city luxuries. Metropolis life is filled with the beauty, style and elegance that reflects your personal accomplishments. Hotel-like lobby, concierge service, Business Center with Conference Room, club house , resort-style-pool, outdoor showers, private cabanas,, lounges, billiards & card game rooms, BBQ stands, State of the art Fitness Center for cardio and strength training, exercise/Yoga studio, dog park, Modern architecture with concrete steel and glass construction, On-site security. 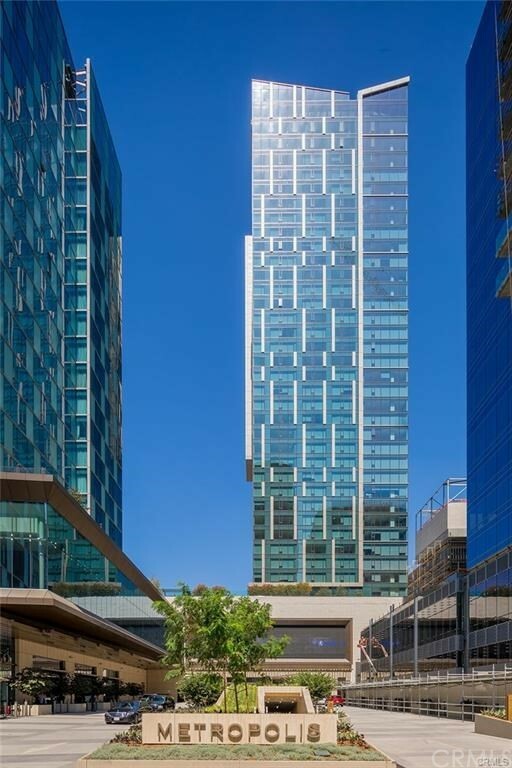 Seller motivated"
"Metropolis Tower 1 Residences, Brand New 2017 Built, Located in the heart of Downtown Los Angeles, with breathtaking views of the Downtown skyline, the Pacific Ocean, and the Hollywood Hills. Just moments from the city's most storied destinations including LA Live, the Nokia Theater, and an endless array of top restaurants, A grand entrance home through a 35,000 square foot motor court, Tower 1 residents enjoy a 24 hour attended lobby, fitness with steam room, yoga studio and garden, movie theater, residents dining lounge with catering pantry, conference and business center, TV and entertainment room, dog friendly Sky-park with bathing station, and a resort-styled outdoor pool with cabanas and barbecues. Modern architecture with concrete steel and glass construction, On-site security and surveillance, Controlled access 24/7 w/ Concierge. Free starbucks coffee all day! All this in a convenient downtown location close to freeway access and downtown shops and restaurants." 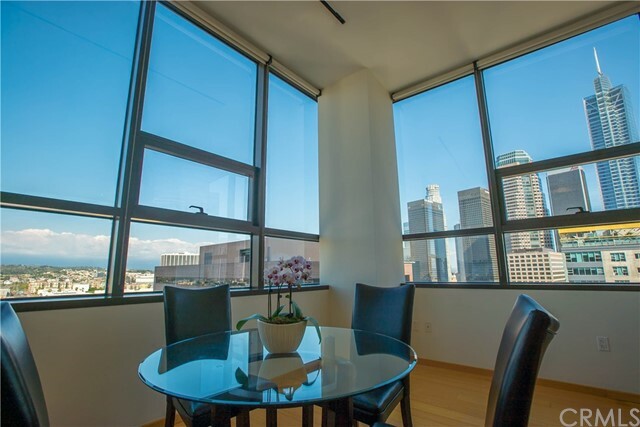 "The 2 bedroom 2 bath unit is a corner unit with 15 foot ceilings and floor to ceiling windows with a DTLA view! Rediscover Downtown Los Angeles' iconic address for premier high-rise living. Featuring innovative, contemporary architecture by the award-winning Gensler, residences at Metropolis maximize light, air and views, with floor-to-ceiling windows framing panoramic vistas of the Los Angeles skyline and Hollywood Hills beyond. Soaring ceilings rise above versatile, open floor plans, while highly curated modern detail and refined finishes enhance the living experience from within. Among home features are expansive great rooms, gracious master bedroom suites, walk-in closets and seamless, chef-caliber kitchens.Elevated resident-only amenities include over ~41,000 sq. ft. of indoor and outdoor amenities, from a heated outdoor pool, meditation garden, billiards room and clubhouse, Sky Park, world-class fitness center with indoor/outdoor yoga room and more." "Welcome to DTLA's high-rise jewel featuring a dramatic corner residence w/ impressive 270- degree views from expansive windows throughout. Unit 1911 is your one-of-a-kind upgraded home in the sky offering new kitchen cabinets, countertops including large breakfast bar, stainless steel appliances, new refrigerator, renovated Jack & Jill bath w/ 2 vanities, high-end hardwood floors, 2 private bedrooms, 2 walk-in closets w/ custom organizers, in-unit washer & dryer, 2 PREMIUM RESERVED PARKING SPACES and STORAGE UNIT on the same floor! Amazing 17th floor Sky Deck includes heated infinity pool, elevated spa, cabanas & lounge beds, BBQ grill, wet bar, seated fire pit cove and private event space. 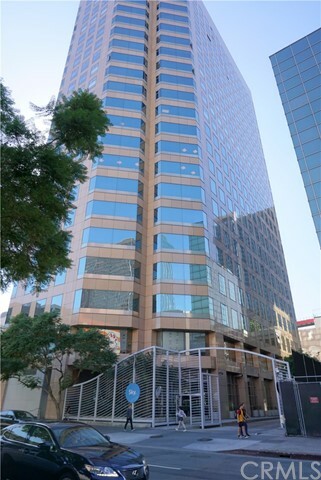 A decked-out fitness center, media/screening room, business center, 24-hour front desk attendant, convenient location near world-class dining, financial district, Staples Center, LA Live, 7th@ Fig and The BLOC complete your 1100 Wilshire lifestyle." "LUXURY LIVING IN THIS 1 BDRM 2 BATH SW.CORNER RESIDENCE WITH PANORAMIC VIEWS OF DOWNTOWN, STAPLES CENTER AND LA LIVE. STATE OF THE ART DESIGNED AND APPOINTED OPEN FLOOR PLAN WITH WHITE OAK FLOORING, BOSCH GAS APPLIANCES, WASHER AND DRYER. VIEWS OF PRIVATE SIXTH FLOOR 40,000 SQ. FT. SKY PARK AND LOUNGE WITH OWNER ONLY POOL, FITNESS CENTER, SCREENING ROOM, YOGA STUDIO, SPA, STEAM ROOM AND DOG PARK. METROPOLIS FEATURES 3 TOWERS, THE HOTEL INDIGO AND 70,000 SQ. FT. OF RETAIL SHOPPING. RESIDENTIAL AND CONCIERGE SERVICES INCLUDING 24 HOUR LOBBY ATTENDANT MAKE THIS THE MOST DESIRABLE RESIDENTIAL PROJECT IN DOWNTOWN LA." "Metropolis Tower 1. DTLA's iconic address for premier luxury high-rise living. The highly sought after corner 09 stack. Perched 25 floors above the city where light and air collide into one. Designed by contemporary award-winning architect Gensler. This luxury residence features a unique floor plan that includes an enclosed grand master bedroom suite, open kitchen/living room concept, high end finishes throughout, and floor to ceiling windows that integrate the entire living space with breathtaking panoramic city skyline views. Arrive home through a grand driveway with LA Live, Financial District, South Park and all of DTLA's hot destinations at your doorstep. Resort style indoor/outdoor amenities include: heated pool, spa, cabanas, meditation gardens, fire pits, bbq, dog park, movie theater, billiards room, lounge, fitness center, yoga studio, business center, a 24 hour attended lobby and much more. This unit comes with two deeded parking spots #88 and storage exclusive to Tower 1." " Experience the bustling lifestyle and nightlife of Loft Style Living in Downtown Los Angeles! This complex is centrally located in within walking distance to LA Live, Staples Center, LA Convention Center, Orpheum Theatre & Microsoft Theater, Pershing Square, F.I.D.M, 7th St. Metro Station, Whole Foods, Ralphs, Restaurants Galore, Coffee Shops, Bars/Clubs, Shopping & Banks! This unit boasts one of the best views in this building! Located on the 20th Floor, there is no obstruction of views and faces Santa Monica & the Pacific Ocean! Amenities include Lobby with Doorman, Club Room & Theatre, Gym and best of all, 2 assigned Underground Parking Spaces! 2 Bedrooms and 2 Full Baths with 1,360 S.F. of Living and Entertainment Space. Features Include: Open & Airy Split Floor Plan with Central Air/Heat & 9 Ft. Ceilings, Brazilian Walnut Hardwood Floors with Custom Mahogany Wood Doors, Both Bedrooms offer Walk-In Closet & Magnificent City Lights View. Both Bathrooms are designed with Mosaic Tiles and Quartz Floors & Countertops. Remodeled Kitchen offers New Exotic Granite Countertops and Backsplash with Stainless Steel Appliances & Breakfast Bar Additional Space can either be used as a Formal Dining Area or as an Office Space. Master Bedroom Suite offers a Spacious Master Bath with Dual Sinks, Separate Tub & Shower, Private Toilet and a Large Walk-In Closet with Custom Organizers." "Currently, rented at $3,700 per month. Investors WELCOME!! Compare with unit#1803 sold for $1,174,380. FULLY FURNISHED UNIT!! New Everything!! Brand New 2017 Built. Most Luxurious Condominium Built last 10 years! Incredible panoramic CITY VIEW. The building/community, Metropolis is located in the most desirable area of Downtown Los Angeles. Metropolis is an affluent address with the exhilaration and convenience of countless city luxuries. Metropolis life is filled with the beauty, style & elegance that reflects your personal accomplishments. Dramatic lobby, Business Center with Conference Room, Luxurious Sky Deck with pool, spa, outdoor showers, private cabanas, function room, lounges, billiards & card game rooms, BBQ stands, State of the art Fitness Center for cardio and strength training, exercise/Yoga studio, Modern architecture with concrete steel and glass construction, On-site security and surveillance, Controlled access 24/7 w/ Concierge. PURE MESMERIZING! UPGRADED UNIT!!" "Luxurious condominium in the Metropolis towel 1, located in the prime location of Downtown LA. Easy access to the 110, 101, and 5 freeways. This unit has an open concept floor plan with Bosch appliances and gorgeous view of Downtown Los Angeles. ***Metropolis amenities feature 24 hour attended lobby, gym, spa, swimming pool with cabanas and bbq area, movie theater, game room, business center, and club house. This property also includes its own storage space and an assigned parking space that's located near the elevator to go upstairs." "Million Dollar Views, This is the perfect location, in the middle of the most happening city. Downtown living with a Panoramic view that is absolutely amazing... Mins, away from fine dining, musical theater, art museums, sporting events, and so much more. View this unit before it's too late..."
"Attention Investors ! Highly Sought after 09 Plan, with 2 parking spaces deeded (RARE)! Leased through 2019 at $3800/mo. An Urban Sanctuary, with breathtaking views in every direction. Arrive home through a grand motor court, and have Staples Center, Financial District, SouthPark and the all of DTLA's exciting destinations at your doorstep. Exercise and entertain in the over 40,000 sf of indoor/outdoor clubhouse, MetSix featuring a dog friendly Sky-park, a sparkling residents only pool and cabanas. private cinema, expansive fitness center, billiards, yoga, spa/steam, and video business center only for residents. Indulge in 5 star attentive residential conceirge service and Access membership with dining & room discounts at Hotel Indigo, and enjoy all inclusive living with ample bicycle and guest parking, storage unit, 1G Fiber Optic Internet, Wifi, Gas, Water, Trash provide with every unit!" "Enjoy downtown living from the comforts of this fabulous modern Live/Work loft offering expansive west facing views, framed by floor to ceiling glass walls. SKY Loft is defined by it's contemporary open design, sleek interior finishes, 10' ceilings w/ recessed lighting, gourmet Euro kitchens with high-end stainless steel appliances and Caesarstone counters, luxurious baths and huge walk-in closets. Unit 1204 also features an oversized 2nd bedroom with its own entrance and can be used as a separate workspace. 2 reserved side-by side parking spaces are included. Sky Loft s is a 22 story residence modernized in 2005, creating an indulgent 2-story residents' lobby, social room with gourmet kitchen, high-speed elevators, fitness center and private screening room. Live in the heart of South Park and Financial District close to Whole Foods, The Bloc, Restaurant Row, Metro Station and more." "Live 36 stories above LA in this sophisticated high-rise residence in DTLA's coveted 1100 Wilshire and enjoy views of iconic landmarks like Hollywood sign and Disney Concert Hall. Prepare to be impressed as you step in the foyer to an open floor plan combining kitchen, dining and living areas where you can entertain in style. The master bedroom is a sanctuary offering views, lavish bath with separate tub and shower, dual sink and dressing area with vanity and walk-in closet. Elevated loft bedroom with walk-in closet, modern kitchen w/ stainless steel appliances & granite counter, bamboo floors, separate laundry room & 2 PREMIUM RESERVED PARKING complete this impeccable home. Enjoy resort amenities including an amazing 17th floor sky deck w/ infinity pool, spa, cabanas, BBQ grills, fire pit cove and private entertaining area, fitness center, conference room, media room, 24-hr attended lobby and near world-class dining, financial district, Staples Center, LA Live, 7th@Fig and The Bloc."